A Day Late and A Dollar Short: Xbox 360 Live Subscription Gold Card - $35 for 12 Months! 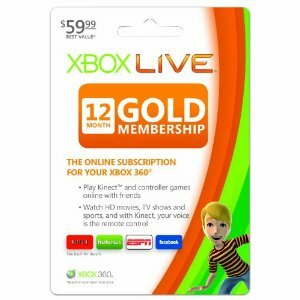 Xbox 360 Live Subscription Gold Card - $35 for 12 Months! If you're interested in this deal, I'd go ahead and buy now because Amazon is famous for changing their prices frequently. Click on any of the images below to visit Amazon and purchase.